Hotel Reddiston is located within Mamura in Sector 66. 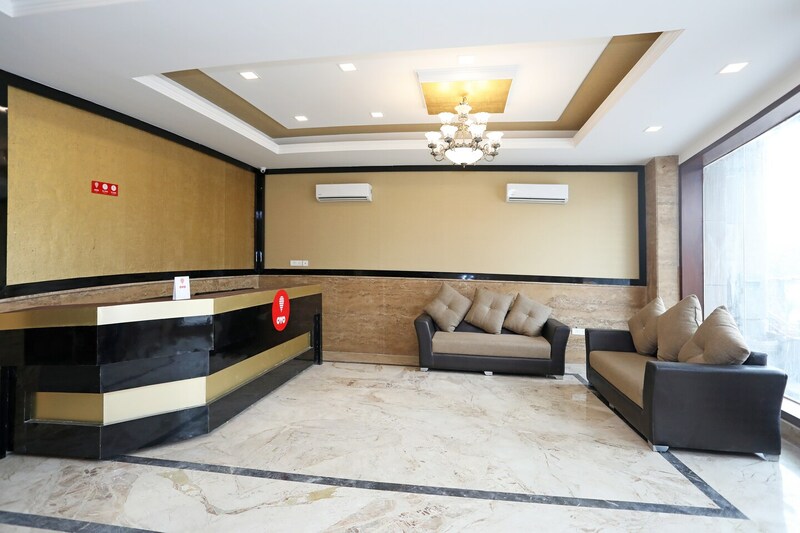 The hotel is quite popular among the travelers visiting Noida and looking for comfortable accommodation facilities that are available within reasonable prices. All rooms have been decorated with a number of wooden elements. The rooms are well-furnished and the wise use of artificial lights throughout the rooms make them well-lit. Every room has been provided with a set of plush wooden chairs. The walls of the rooms have been painted in neutral colors. The floors are tiled and the curtains used in the room are also colored in bright colors. The curtains provided are long and cover the large windows provided. The extra facilities provided by the hotel are free Wi-Fi, a constant power backup source, parking provisions, a banquet hall, card payment in all forms, laundry provisions, and CCTV cameras. All these facilities are maintained by a helpful staff. The hotel is surrounded by a number of restaurants such as Dabbameal, Haldiram's, Boxmeal, RollsKing, and Wat-A-Burger.